THE BEADY EYE SAY’S: WAKE UP BRITANNIA THIS IS WHO THE DUP ARE. Posted by bobdillon33@gmail.com in Backstop., Brexit Language., Brexit v EU - Negotiations., Brexit., Democratic Unionist Party., Northern Ireland., The DUP. 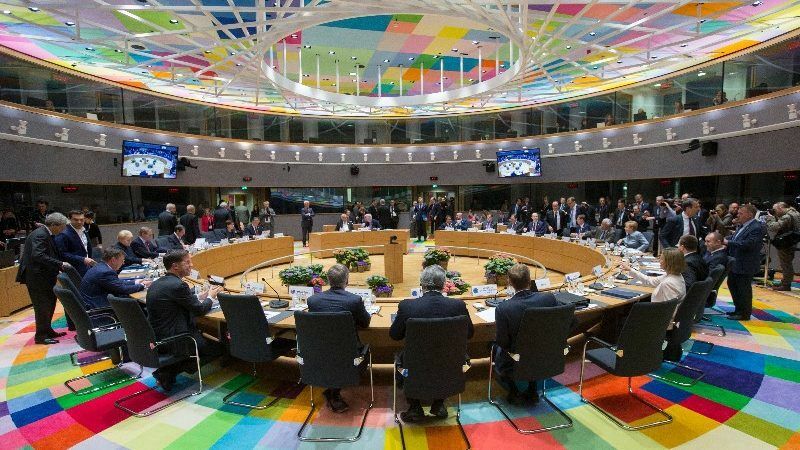 Brexit v EU - Negotiations., Brexit., Democratic Unionist Party., DUP/ TORIES ALLIANCE., Forthcoming Brexit Negotiations. If you asked the question who are the DUP to the English public I would say 80% would not be able to answer the question. If you asked the question in Ireland 90% would answer a Northern Ireland Unionist Party out of date that is based in bigotry antie catholic and united Ireland rhetoric. Citing the territorial claims in the Irish constitution, which the party viewed as illegal and a threat to the security and religious freedom of Protestants in Northern Ireland. A “theocon” grouping whose ideas are unusual in today’s western Europe. To an American, especially from the deep South, the party would seem much more familiar. You might call it a mixture of old-time religion and secular nativism. The party is the creation of firebrand Protestant Evangelical Minister Ian Paisley. Reverend Paisley also founded the Free Presbyterian Church of Ulster and was characterized by his entrenched Unionist views and his hostile opposition to the Catholic Church. Paisley helped found the Ulster Protestant Volunteers. In 1969 members were involved, along with the UVF, in exploding a number of bombs they hoped would be blamed on the IRA (who had not begun their bombings), provoking a Protestant backlash and bringing down the Unionist government of Northern Ireland, seen by them and Paisley as having gone soft on Catholics. Founded in 1971 by a hard-line faction of the UUP ( Ulster Unionist Party) which was at the centre of a bloody sectarian divide during Northern Ireland’s Troubles – a conflict involving rival paramilitary groups and the British Army which claimed more than 4,000 lives, 50,000 injured, and an estimated 40,000 bereaved or traumatized over 30 years. 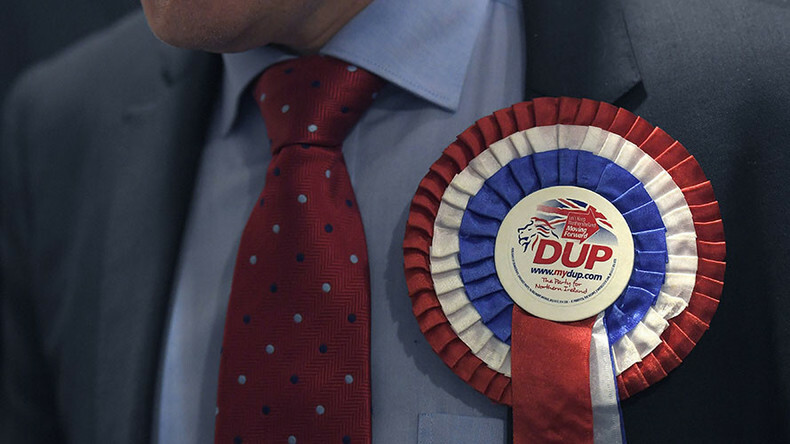 In 1975 the DUP contested elections as part of the United Ulster Unionist Council (UUUC) alliance, which rejected the notion of sharing power with the nationalist (and largely Roman Catholic). Core to the identity of the DUP is its representation as a party that guarantees to act as a firewall against Irish unity. The DUP boycotted the talks when Sinn Féin was admitted in 1997. The product of the talks, the 1998 Good Friday Agreement (Belfast Agreement) on steps leading to a new power-sharing government in Northern Ireland, was rejected by the DUP, which denounced the new Northern Ireland Assembly as a dilution of British sovereignty and objected to the inclusion of Sinn Féin in the Assembly and the new executive body. There is now a growing question about the influence of the DUP and its opposition to the Good Friday/Belfast Agreement. In the snap election for the British House of Commons that Conservative Prime Minister Theresa May called for June 2017, the DUP added two seats to bring its representation in Westminster to 10 seats. 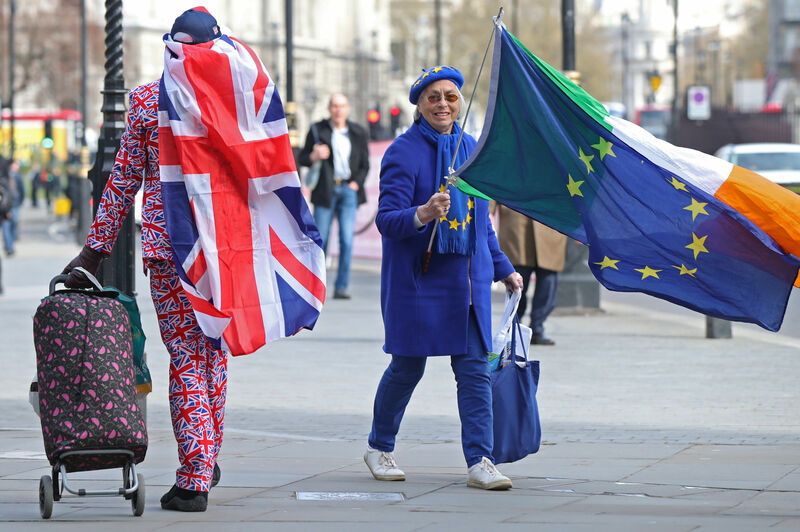 May then courted the support of the DUP so that she could form a minority government relying on the DUP’s 10 votes on crucial issues to push her party over the 326-vote threshold for a majority. After securing the promise of £1 billion in extra funding for Northern Ireland over the next two years, on June 26, 2017, the DUP agreed to provide “confidence and supply” support for May’s government. The DUP staunchly supports union with Britain. The sense of political identity currently offered by the DUP leadership reflects a change of emphasis away from cultural unionism towards an agenda drawing on more civic understandings of politics. However, it has blocked efforts to pass a Climate Change Act in Northern Ireland, as well as having a history of supporting creationism and blocking legislation on the legalisation of abortion and gay marriage. It is the only political party in Ireland to support Brexit. 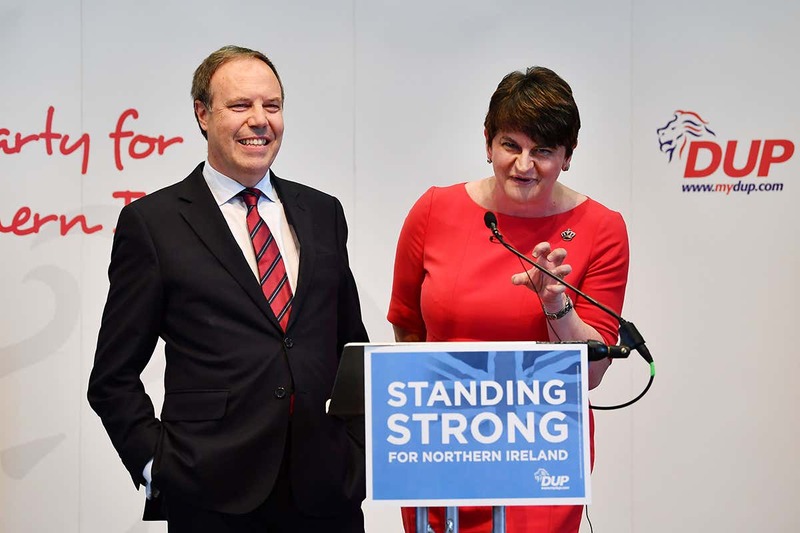 The DUP induced a political crisis in Northern Ireland through a “green energy” scheme. The final cost to the taxpayer for this fiasco is expected to be upwards of £400 million. The party is opposed to abortion and gay marriage, but it goes further than that. Members of the party have described LGBT people as “disgusting” and an “abomination”. The DUP traditionally avoided all contact with the Irish government. Yet Arlene Foster is the political figure who holds in her hands the future of Brexit. Her beliefs were forged in the bloody years of Northern Ireland: her father was shot in the head and she escaped an attack on her school bus. It is hard to imagine a group less suited to this crucial role. A political NI party of narrow-minded, intransigent bigots who care nothing for the wider interests who relish in a political mindset of ransom and provincialism that was is probably still is attached to the Ulster Volunteer Force. The party is continually in denial about reality. Representing just 36% of the last General election in NI that voted to remain. A party that has been spoonfed English taxpayers cash, including a 1 billion, to support England departure from the EU.